Still on the fence about using Airbnb? Here are my truthful Airbnb reviews with information you don’t always see on their site. Airbnb is one of my favorite ways to travel and use as housing accommodations. I’ve stand in many Airbnbs across the world! There’s so many benefits to it including great prices and meeting so many fabulous people.They also can give you fantastic recommendations of places to visit that aren’t just the main attractions of the city. I love getting a locals perspective of city as it gives you a true feeling of the town. Also, by staying in another person’s house, you are able to see and experience the differences in the culture as well. If you’ve never stayed in a Airbnb and would like to try it, get $40 off your first stay here! 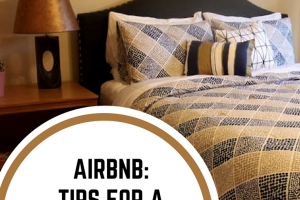 But before you do, check out my tips on picking the best Airbnb. These are my experiences so far with staying in Airbnbs. Prices are total price including tax and cleaning fees. The price also include a total of 2 people staying in each place. (Some places charge for each person). PLEASE NOTE: Prices may vary when booking your own trip. Prices fluctuate depending on seasons and holidays. I give you these prices to give you estimates on what you maybe charged. However, this may not be the exact amount for you. I will update this list as I stay in more Airbnbs. This listing was for a private room only and a shared bathroom. This is one of the cheapest options. The house has a few bedroom in which the owner lives there as well. The host was very friendly and met with us and gave us recommendations on what to do around town. We sat for hours talking to her. (It is not typical that you sit with your host, and in some cases, you may not even meet your host face to face, but we had a ton in common, so it just flowed). The room was spacious and comfortable and gave us a place to rest our head which is ultimately what we needed. The neighborhood was nice and I felt comfortable walking around there. It’s a very quient and quaint town compared to New Orleans ( Lake Charles is about 3 hours west of New Orleans). If you are staying in New Orleans, check out unique things to do and possible date night ideas while staying in the Big Easy. You won’t regret it! She offered us recommendations on places to go and checked in with us to make sure we were comfortable and having a good time. She had everything we needed for our stay including TV, wifi, shampoo, towels, and hairdryer. She allowed us to use her kitchen and fridge as well. (Some hosts do not and only offer the room, so be mindful of this as you are looking through ammenities on the listing). She was even so thoughtful to leave a bottle of water and granola bar out for each of us as well. It was so simple, yet such a nice special touch. This was one of our favorite stays. For more information about Raleigh, including things to do, go here. RELATED: Raleigh Travel Guide- Best Places to Stay, Eat and Visit! She is located on top a hill, which most of Seattle is hills. This is quite a trek for people that live in a soup bowl like New Orleans and are never really above sea level. haha! If you’d like to read more about our adventures and some recommendations on what to see, eat, and do here in Seattle, you can check them out here. This was for a private studio apartment. The listing is a little misleading but lovely all the same. I pictures of the studio was as pictured. Very bright and she made great use of the small space she had. The location of the studio was the misleading part. Although her apartment looks lovely, the neighborhood is a little alarming. This part of Baltimore is pretty desolate. Many homes are vacant, boarded up, or burned. It made me very vigilant just walking from my car to the apartment. The apartment I did feel safe though. There is a key code on the front door and then it opens to stairs and 3 other apartment doors. Ours was on the top floor. The stairs were quite narrowing making it a little difficult to get the lugguage up the stairs but we made it! Then there was another code on our apartment door. The host I never met at this location but was easy to get ahold of. She accomodated us the best she could. She had cleaners come right before we arrived to clean the apartment but forgot to leave toilet paper. We did have to go run and get some but that was no big deal. The bed was comfortable but the street was pretty well traveled via automobiles, and the apartment is not well insulated so you heard a lot of traffic going by. Overall, it was a nice apartment to stay in but with all the other factors, I probably wouldn’t stay there again. We entered through the back gate with a key. The backyard was nice and I loved to look at all the things they were growing. They have quite a green thumb! Then our door was a keypad. This little apartment had everything we needed like the Raleigh house. Literally they had oil, sugar, q-tips and even a complimentary beverage. They thought of everything we might need even if we forgot it. The bed was super comfortable and we were given our privacy. Since it is an older house, and the a/c, water heater etc are all down there, you do hear it, but it almost becomes a background noise. (but this is a sidenote for others that might be bothered by it.) You can hear them walking at times, but it was never really an obnoxious time. Great stay. If you’re looking for a budget friendly trip, I recommend reading below. One of the best ways to save money on accommodations is staying outside a big city. Especially if you are driving instead of flying to your destination, staying outside the city will give you some of the best deals not only for Airbnb but hotels as well. If you fly, consider getting a rental car so you can explore places not only in the city but outside the city. We enjoy hiking and finding adventures, so we usually rent a car. Airbnbs are Great for Spur of the Moment Trips! Ok, back to Opelika, this was a quick spur of the moment trip. One of our friends was getting married in Ellijay, GA. We were only planning on being up there for just the wedding. It was even better when we found out it was an afternoon wedding, so we wouldn’t be on the road too late. 1- It was cheaper. We have stayed in Ellijay in a log cabin similar and loved every minute of it. It has become a popular place to visit and since the prices have risen. 2- Opelika was on the way to Ellijay. This meant we wouldn’t have to drive as far each day. We planned on driving from New Orleans to Opelika Friday afternoon. Then Saturday driving to the wedding in Ellijay and coming back to Opelika that night. Then Sunday drive home to NOLA. 3- We opted for just a private room and bathroom to keep it cheap especially since most of time would be at the wedding or in the car anyway. We really only needed a place to lay our head. A small studio apartment in the heart of Dublin. A belated honeymoon/anniversary had us taking an epic road through Ireland for amazing 10 day trip. 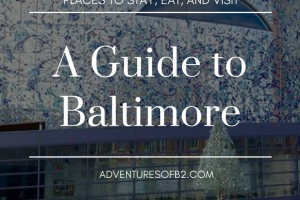 (Get our itinerary here). Small yet cozy, it had everything we need for the little time we were there. But I do have to note that we did have to travel up 3-4 flights of stairs and there was no elevator. Our check in was easy. We did not meet our host (Marianna) in person but she communicated quickly and efficiently. She also had a folder with tons of recommendation to do and a complimentary Guinness. For up-to-date pricing and booking, go here. Right in the heart of the city, this apartment was much more spacious than Dublin. There was a long flight of steps to get to the apartment but the first apartment at the top of the steps. There was a hallway that led first to the bathroom and then kitchen with a half wall to separate the kitchen from the bedroom. The bedroom was spacious with tons of natural light but blinds and curtains to keep it out if you’d prefer. The bedroom was fun, modern, with little pops of color. Unfortunately, she could not meet us at our arrival time but had her friend met with us to get the key. She was so lovely. We were able to easily walk to shops, restaurants and even the grocery store. We did have to pay to park our car but it was very cheap and fairly close to the apartment. Overall, we enjoyed our stay in Galway. Check prices and book here. Out of all of them, this one would be my least favorite but I would still stay there again. The location was AMAZING! Right on the water of Clancy Strand, it is smack dab in the heart of the city. The apartment is connected to the main house but you have your own private entrance and parking on site that is free, so this is a plus! I enjoyed the setup of a small kitchen and living with a mini hallway to the bathroom and bedroom. It did have wifi but was very slow ( however, I know this is something he was working on fixing!) He was very nice, met with us to show us around the place and offered a great restaurants ideas. To book and for pricing on this Airbnb, go here. RELATED: How to Stay in a Castle in Ireland on a Budget! Oh gosh! This one was one of my favorites!! The pictures just don’t do it justice! This place is also connected to the main house with your own private entrance and free parking. The home has your own spacious living, a kitchen, bathroom and bedroom. The floors are heated tiles which are AMAZING! It takes the nip out of the cold tile so no need to wear socks. Margaret met with us and was so sweet! I really enjoyed her accent. She also left some juice, milk and treats. This one is a just a 3-5 minute drive from the hustle and bustle of the city but so worth it! I would gladly stay there again! Book and see prices here! My other favorite! This little cottage has the same setup as the two before with your own private entrance. She met with us and showed us around as well. She respected our privacy and was very hospitable with leaving milk and juice as well. The cottage was newly renovated and quite cozy with an overall clean modern look. The white kitchen was to die for! She completed the dairy farm look with sliding barn doors to the bedroom and bathroom and a dutch front door. There was also sky lights in the living room and kitchen to give tons of natural light so no need for lights. There was also a patio area in the backyard. To book this Airbnb and get prices, go here. This studio apartment was perfect for our time in Tramore. A garage renovated into a guesthouse. It perfectly sits behind the main house which has gorgeous views of the water. You’re welcome to sit on your own little patio or sit in the front yard to enjoy the views. The best was going out the front yard to the walking paths. Dermott gave us directions and met us to show us around. They are the sweet couple that would love to have you over for a cup of tea and chat but will also give you your privacy and space if you’d prefer. Book and see prices here. Overall Ireland was a phenomenal experience. I definitely recommend renting a car and doing a road trip. We were able to experience so much this way. Here is our Ireland road trip itinerary. It is set up to be altered to your liking. We stayed for 10 days but I give you tons of extra activities if you are lucky enough to stay longer! Want to stay in Airbnb? Get $40 off your first stay here! But before you do, check out my tips on picking the best Airbnb here. Have you stayed in an Airbnb? What was your favorite so far? 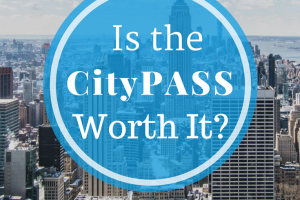 Is the CityPASS Worth the Money?